New House of Fraser owner, Mike Ashley, has pledged to turn the store into a ‘Harrods of the high street’. Is this possible given that thousands of customers like me are currently out of pocket? As a loyal House of Fraser customer, I was saddened and panicked to hear of the news in August that the firm had gone into administration. Saddened because it looked like the end of an era for a store that I very regularly purchase from, and panicked because I had more than £300 of unspent vouchers. There was a glimmer of hope, however, as House of Fraser was purchased within hours of going into liquidation. Following online advice, I wanted to get rid of my vouchers ASAP. Before going ahead and placing an expensive order under House of Fraser’s new ownership, I contacted one of its customer service representatives via the live webchat to ask if online orders were going through and if gift vouchers were an accepted form of tender at this time. I was confidently reassured to go ahead, not to worry, and that everything was “business as usual”. My online order (part gift card, part debit card, totalling nearly £350) placed during the afternoon of 10 August was indeed accepted; I received the standard confirmation email. However, a few days passed and, unlike my multitude of previous orders, there was no sign of a dispatch email. I reached out to staff via the live webchat again and was told that they were experiencing a backlog but my order would be dispatched the following day. Contrary to this promise, my order was not dispatched. I made contact for a third time with a different member of staff who admitted that they had no idea when orders would be dispatched from their warehouse, but could 100% assure me that I would receive it in due course. The information I was being fed was contradictory from one day to the next. I pushed for an estimated delivery timeframe, but was simply told that my order would be sent and that I should be patient in allowing them to catch up with the backlog. We are currently experiencing an increased number of customer service enquiries. To help us prioritise and manage these enquiries, we ask that all customers contact us by emailing customerservice@hof.co.uk. Thank you for your ongoing patience at this time. It appeared to then go one step further by removing the direct message functions on Twitter, the public posting function on Facebook, and disabling comments on its most recent Instagram posts. Fast-forward to the second week of September, there was still no sign of an email, or a refund. I have followed House of Fraser’s instructions to email them, but have not received a reply. I don’t think my situation here is unique – you only have to trawl through the 1500-odd comments on House of Fraser’s two recent Facebook announcements and the hundreds of tweets. So, where do I go from here? As each day passes, my frustration heightens. I recently walked through a House of Fraser store and felt incredibly saddened to see the same products I’d ordered online and not received sitting there in store. I’m still desperately seeking answers from House of Fraser, and angry on behalf of every other customer in the same or similar boat. It’s now 21 September and I’m still yet to receive my order or any correspondence. And what about the gift card situation? Has anyone managed to receive a refund after returning them to head office? This is a guest post by an anonymous writer who contacted Which? to share their experience. All views expressed are their own and not necessarily shared by Which?. We reached out to House of Fraser for comment on this guest post, but it is yet to respond. Have you ever been faced with a similar situation with a company enterting administration? How did you resolve it? The laws concerning administration in the UK are Dickensian. They are there to protect all creditors in the failed business (that includes you), but only in equal measure. This means any existing liabilities of the company are “ring-fenced” to protect the failed company from attempts at debt recovery and other legal actions. The business is then placed into the hands of an insolvency practitioner appointed by the courts to recover what they can – the first priority being payment of their lucrative fees. One further aim of the legislation is to try to safeguard the employees of a failed business, by allowing the business to continue to function as a going concern. In this case, Sports Direct entered into a “pre-pack” administration sale. In simple terms, they have purchased (at a heavy discount) those assets of the business worth saving immediately before the company entered legal administration. 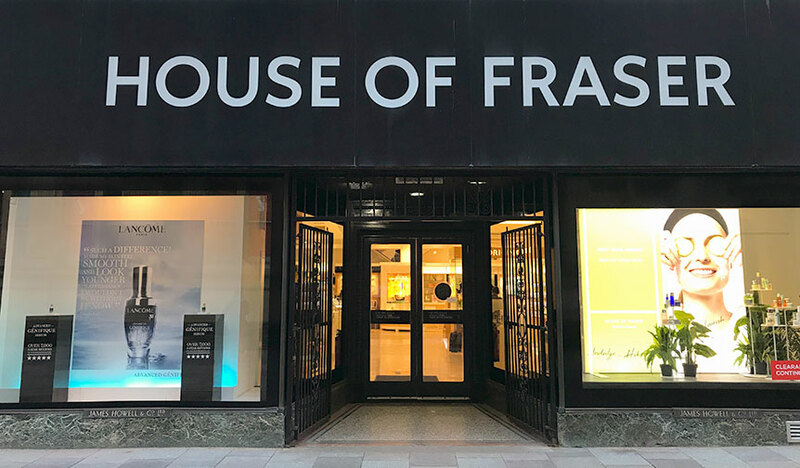 This allows “House of Fraser” – as a brand – to continue trading unencumbered by the debts and liabilities of the former company. Your legal claim is against House of Fraser (in Administration), and good luck with that! In five to ten years you might see, at best, 10% of your money returned. You could also try claiming against the credit card company for the goods you have not received, and the value of the gift card if you also bought it using a credit card. Would Sports Direct ever honour unfulfilled orders and gift cards? I don’t think so, and the longer they can drag their feet, the less likely it becomes. They do not have a good track record as a benevolent business for a start, but what would be the value to them as a goodwill gesture? Whilst we might consider House of Fraser to be one of the iconic High Street brands (most of which have now disappeared with the notable exception of John Lewis and M&S), the real value of the brand is from shops in the tourist hot-spots. A Chinese visitor’s impression of the company is unlikely to be swayed, one way or another, by Sports Direct doing the decent thing. They will still head straight for the Mulberry handbags, shoes and cosmetics and be gone in a week. I do feel sympathy for anyone who has lost money to House of Fraser, but short of a miracle, there is no point is crying over spilled milk. And please do not buy gift cards from any retailer – they are unsecured debts in an insolvency. Maybe this is something where Which? should be campaigning to change the law? Further to my reply above, I note you placed your order after the “pre-pack” Administration sale to Sports Direct. The situation with vouchers and gift cards is as I stated above. However, the element of the order paid for with the debit card is owed to you by House of Fraser (Sports Direct).